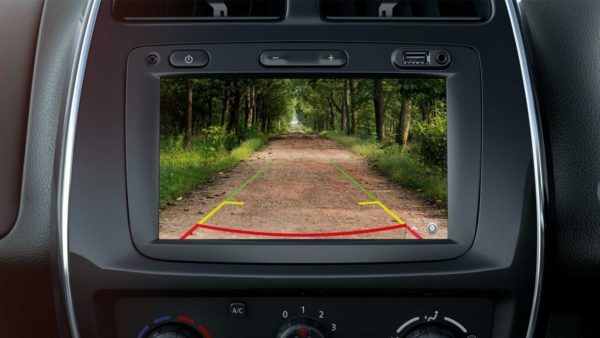 On the inside, the Kwid gets a new reverse parking camera, something that you do not see in this segment. The reverse camera projects on to the huge centre screen, which has been an USP of the Kwid. The Kwid also gets a new crawl feature in the AMT variant which is quite useful in city traffic conditions. The rear passengers get a power outlet and a centre armrest. However the armrest is only available in the Climber variant. A new safety feature on the rear are emergency locking retracting seat-belts, which are offered as standard. In terms of appearance, we are fans of the Kwid’s SUV like stance, the only thing we believe lets it down are the skinny tyres. Chunkier tyres would not only improve handling and stability but also make the car look much better. The brakes also on the car leave us wanting more. 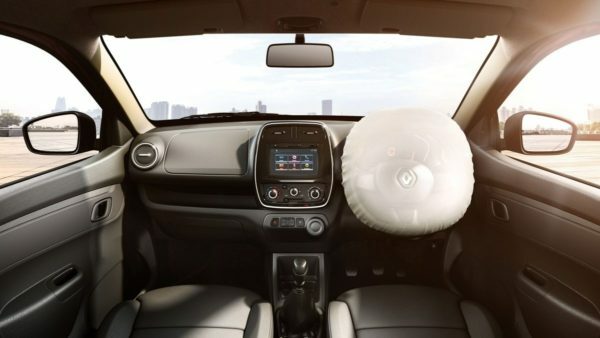 The Kwid lacks the initial bite and would make drivers a bit nervous in certain scenarios. 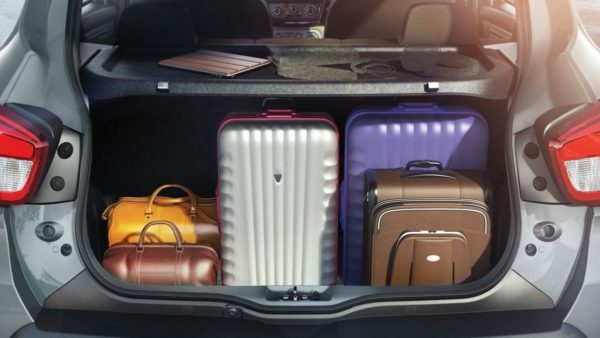 A 300 litre boot is the most spacious in the segment and houses a full size spare underneath. Climbing inside, the first thing you would appreciate the nice and chunky steering wheel. The steering itself is a bit lifeless which is indeed helpful in city conditions but lets the enthusiast down. The instrument console is all digital, which makes the car appear to be much more expensive. The touchscreen is huge and even offers navigation, something unheard of in this segment. The car gets a bunch of storage spaces which adds to practicality and convenience. Talking about convenience, even the top end model does not get a day-night mirror or internally adjustable rear view mirrors. The seats are comfortable enough for the segment. The car also gets an optional SRS airbag, which we think should be offered as standard. The Kwid gets two petrol engine options, we test the 999 cc three cylinder unit. The power and torque figures are 67 HP and 91 Nm repsectively, which do the job. In terms of fuel efficiency, the Kwid is second only to the Alto giving you 24.03 kilometre to the litre in the AMT variant. The Kwid is offered in 8 variants with prices starting from INR 2.79 L and go all the way up to INR 3.63 L Ex – Showroom, India for the 800 cc engine. We are testing the 999 cc unit which comes at a base price of INR 3.87 L to 4.44 L for the manual while the AMT Rxt variant costs INR 4.46 L, Ex -Showroom, India. It maybe a bit expensive than its competition, but the Kwid is worth the premium since it offers alot more than its competition does. Watch our video below to know more about the Kwid.